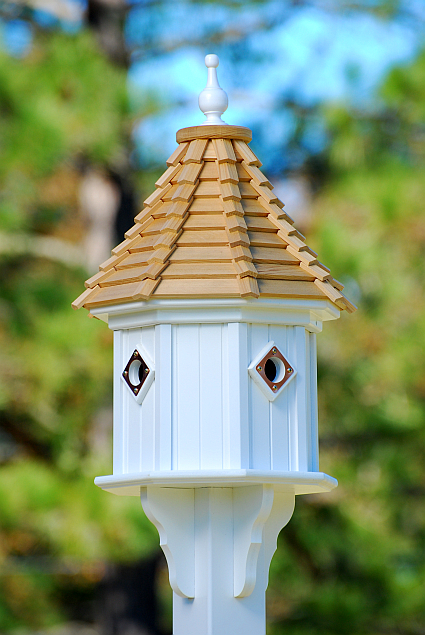 This work of art birdhouse features 4 compartments with 4 perches and a shingled Roof. Will not rot crack split or fade and is guaranteed by the manufacturer! This beautiful shingled wood sloped roof and vinyl white birdhouse will be the focal point of your yard guaranteed!